For many people, it wouldn’t be summer without a family road trip. Since most Americans consider their pets to be members of the family, that means bringing your pet along. But unless you want your vacation to resemble a National Lampoon movie, there are a few additional considerations you should follow when traveling with your pet. For starters, do your homework and make sure your destination is pet-friendly. For example, if you were planning to bring the family pooch with the rest of the family to Yosemite National Park to enjoy the great outdoors, you would be disappointed to learn that dogs are not allowed on the hiking trails, even on a leash. Although the national parks were established to make the great outdoors accessible, they were also set up to protect these lands. Unfortunately, even well-behaved dogs can disturb these delicate ecosystems. The main point is do your homework and find out ahead of time.If you’re okay with staying in the campground with your dog, then it may not be an issue for you. If you really want to take your dog on a hiking trail, you may have to choose another destination, like a national forest. Check ahead of time to avoid last minute surprises that can put a damper on your trip. 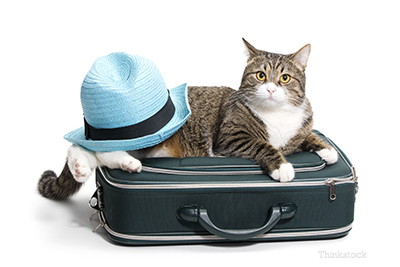 If this is your pet’s first big trip, you should get them used to travelling well ahead of your planned trip. If you’re traveling by car, this means taking them on frequent car trips to get them used to being in a car. I also recommend making the experience as positive as possible by giving lots of praise and treats. The same principles apply if you’re planning to travel by air. Get your pet used to their travel crate and give them lots of rewards. If your pet becomes very anxious despite these measures, speak with your veterinarian about using a sedative.Another consideration is lodging. Fortunately, the Internet is a great resource for finding pet-friendly lodging. There are numerous websites and even apps for your smart phone to help you find pet-friendly hotels. Just call to confirm their policies and to get the details. For example, some hotels may have a size limit or a restriction on the number of pets. Some hotels even cater to pets and offer special pet-friendly services to make your pet feel right at home. Finally, as seasoned travelers know, make a checklist of what you will need for the trip. Since your pet can’t really eat at a food stop or restaurant, bring enough of their food for the entire trip. Don’t forget to pack food and water bowls, their bed, and favorite toys. Bring a health certificate or their vaccine record and any medications they are taking. Don’t forget to bring their collar with I.D. tags and a leash. And if your pet doesn’t already have a microchip, I highly recommend getting one for your pet since collars and tags are not foolproof. Finally, it goes without saying, never leave your pet in an unattended car since they can overheat and die within minutes. Traveling with your pet may require some additional planning, but with a little foresight, it can give you and your family some priceless memories.